Here are links to nine personal technology related articles for your weekend reading pleasure that you might have missed during your busy week! Mossberg, Walt. (4 November, 2014). What Are the Anti-Apple Pay Merchants Afraid Of?. re/code. Online. accessed November 4, 2014. Del Rey, Jason. (4 November, 2014). Amazon Begins Extending Prime-Member Perks to Other Shopping Sites. re/code. Online. Accessed November 4, 2014. Newman, Jared. (2014, November 4). No Fire Phone required: Amazon Prime subscribers get unlimited photo backups. PC World. Accessed November 8, 2014. You can also get the Amazon Cloud Drive app for Apple, Android mobile devices and for PCs. Picking The Locks: Redefining Copyright Law In The Digital Age. (3 November, 2014). NPR Staff. Author Interview: Cory Doctorow. Online. Accessed November 3, 2014. Chen, Brian., & Goel, Vindu. (30 October, 2014). Apple’s Tim Cook Says That He Is ‘Proud to Be Gay.’ New York Times. Online. Accessed November 4, 2014. Miller, Claire Cain. (30 October, 2014). Why the U.S. Has Fallen Behind in Internet Speed and Affordability. New York Times. Online. Accessed November 4, 2014. Miller, Matthew. (2014, November 5) Jawbone announces affordable UP Move and high-end UP3 activity trackers. ZDNet. Online. Accessed November 5, 2014. Schatz, Amy. (2014, November 5). Winners and Losers for Silicon Valley in Tuesday’s Election. re/code. Online. Accessed November 6, 2014. Elgan, Mike. (2014, November 8). Why Amazon Echo is the future of every home. Computerworld. Online. Accessed November 8, 2014.. 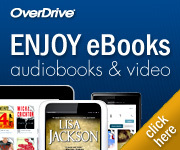 Previous Previous post: Brand New E-Books, Downloadable Audiobooks & Streaming Videos Available Today!